As I came back from one of the best trip I have ever taken in Iceland, I was surprised to read that I had been chosen as the winner of the Travel Photo Roulette #87. So now it is my turn to host it and entries will close on September 30th. Observing the shapes of lava fields where EARTH became fertile and moss took over, and even some trees! So for this round please show me the power of the elements, one of them or several of them. Feel free to get creative with close ups or wide angles. I hope you will enjoy it! 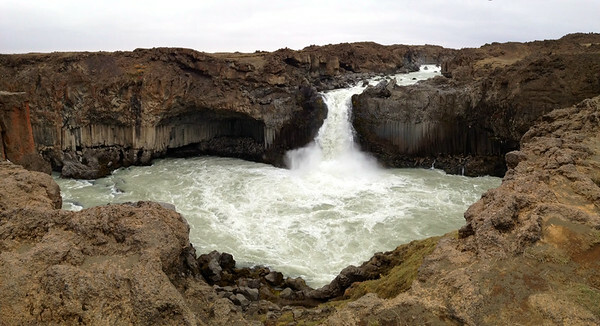 Here are some of my pictures (although I have not yet sorted out the Iceland ones yet so 2 of thsoe are only iPhone shots), just to give you some inspiration. Post processing is permitted, but photo altering (ie. using Photoshop to remove elements) is not. To enter in the Photo Roulette competition simply leave a comment below with a link to the image (whether Flickr, Picasa or your own site) and I will upload it to this post. 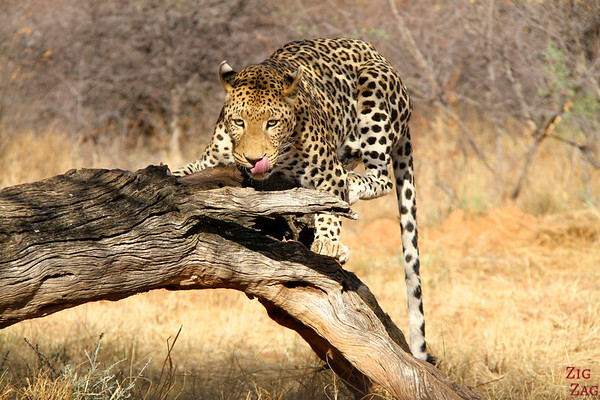 Don’t forget to provide a brief description or caption for the photo so the viewers can get a little background as to what’s happening. Check back here through the week to see all the entries as they come in – feel free to comment on them. The contest runs for 7 days, from now September 23th until September 30th, 2014 when the submission period ends. I will announce the winner within a couple of days of September 16th, and they will host the next round. Here’s mine from The Valley of the Moon outside of San Pedro de Atacama in Chile. Named it’s close resemblance to the lunar surface, its creation is a result of thousands of years of erosion caused by wind and melting ice from the ice age. “So I took your four elements theme to heart, and chose this image from Yellowstone. My entry follows the theme of Earth, and for this one I couldn’t think of anything more appropriate than the giant sand dunes of Namibia (Dune 45 featured). 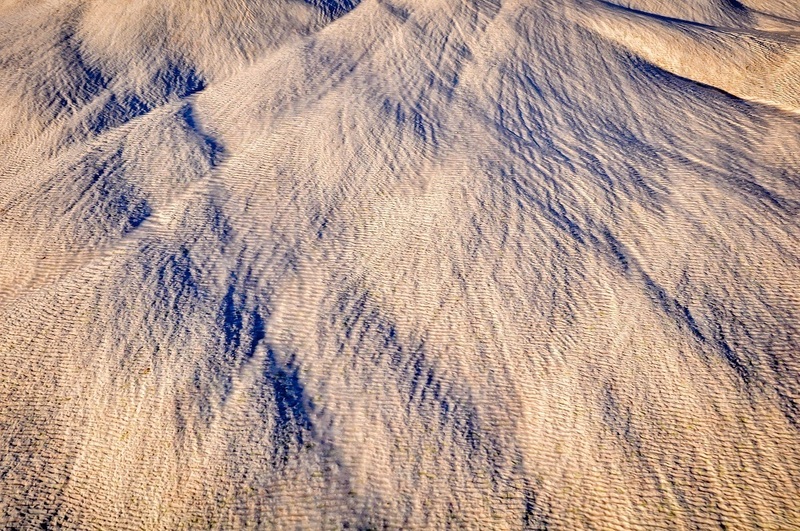 These massive dunes have taken over the landscape and are a wonderful display of the raw power of nature. Thanks for your entry. I have great memories of Sossusvlei; it is one of my favorite places in my travels so far. I am glad you chose it. 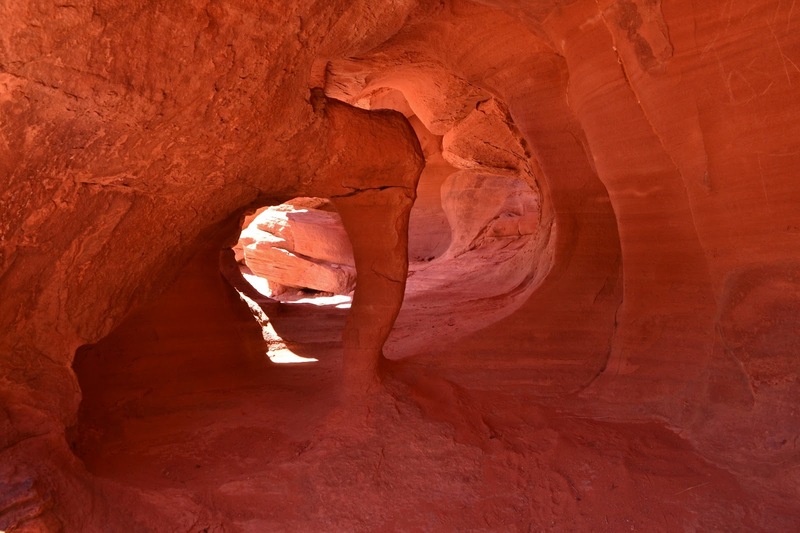 This is small cave in Valley of Fire, Nevada known as Windstone Cave. Thanks for your entry. I love rock formations. Plus the story on your blog under this entry was great. What a memory! My entry follows the water theme. This is a picture of Plitvice Falls in Croatia. These falls show the natural beauty of this National Park. It is filled with hundreds of tiny waterfalls, and light blue pools that make you feel like you are in a fairy tale and show the wonder and power of mother nature. Thanks for your entry.Croatia and especially the Plitvice lakes are really high on my travel wish list. This picture is so lush I want to go and have a swim. A combination of EARTH, WATER and WIND — the Travertines of Pamukkale, Turkey. Water carries the minerals down the mountain where wind helps deposit and shape the formations. The result is a beautiful tapestry of texture. Thanks for your entry.I really enjoyed your take on the theme. This picture is very interesting with the texture and the lines. And it is very soothing. 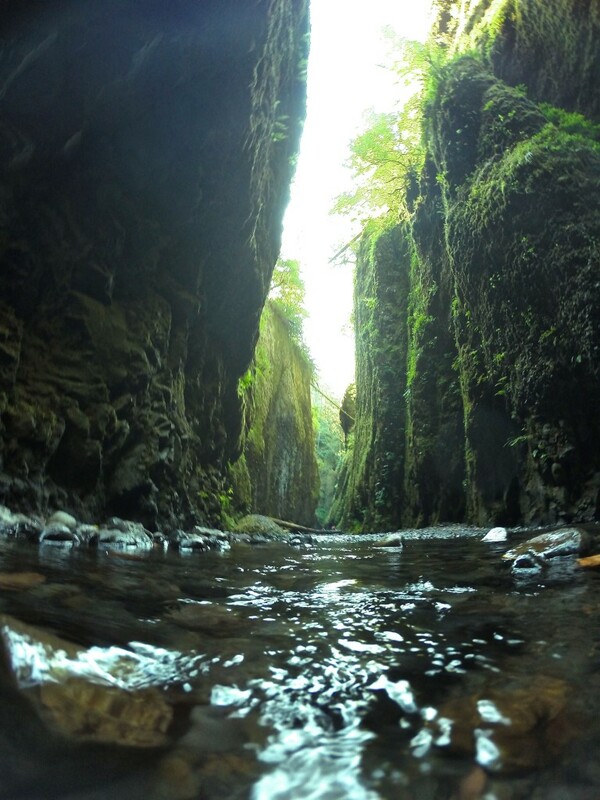 Oneonta Gorge is only accessible by walking/swimming through the creek bed. It is one of the most stunning “hikes” I have done here in Oregon. The sun was coming straight down the day we were there creating a beautiful late summer haze through the trees. Thanks for your entry. I love those places you can reach only by hiking. They are so well preserved. I like the low perspective you took on the picture. A photograph of the Great Barrier Reef in Australia from the air…. Thanks for your entry. Gorgeous colours and shapes. I remember flying over it when I lived in Australia and I loved the perspective. I’m really into the theme for this round – the elements gives so many different opportunities for interpretation. Our entry is from a Prague Christmas Market last year. 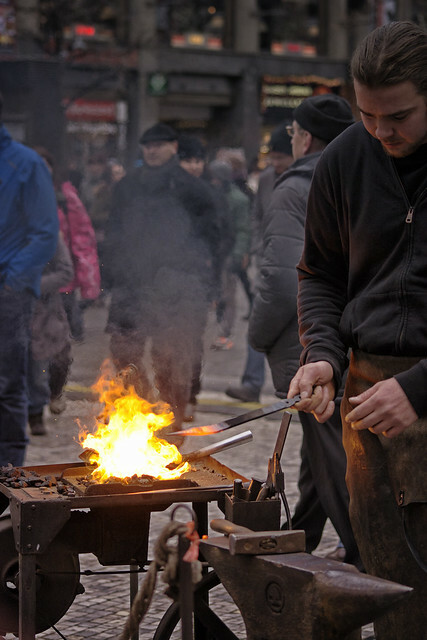 A crowd had really gathered around this metal worker and when I was finally able to slip through and see what all the fuss was about it became clear – fire! Thanks for your entry. I glad to see someone going with fire. I find flass blower and metra workers fascinating to watch as they transform their material. Thanks for your entry. The Atacama desert is so high on my list right now and your photo just makes me want to quit and go there. Congratulations on you win – well deserved…. Thanks for your entry. I am impressed that you are taking up the challenge of Wind. It is a hard one to translate. Those trees are really strong to withstand that! First of all, congrats on your win! Here’s my entry for this week: I took it on Deception Island – an active volcanic caldera in Antarctica – this past January. It has all of the four elements: The water both from the ocean lapping on the beach, but also in the snow in the background. Earth is represented in the volcanic black rock under the sparse layers of snow. And finally, fire and wind are seen in the steam rising up off the beach and blowing around under my fellow passengers’ feet. After taking this picture I jumped into the freezing 0°water but was able to lie in the sand due to the geothermal elements of the caldera keeping me warm. Thanks for your entry. I went and look at the related full story on your blog. I loved it! I could feel I was there with you but you managed to keep the writing short. Well done on mixing all the elements on your entry. We have opted for Earth & Water. 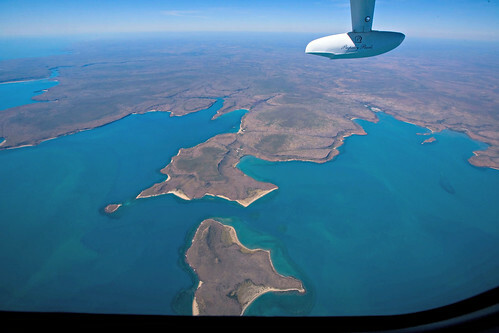 This shot was taken flying in a Mallard over the remote north west region of the Kimberley in Western Australia. We like it because of the contrast of colours in the two elements that make it like looking down on Earth! Thanks for your entry. This type of views is the reason I always try taking a flight everywhere I go: small plane, helicopter, floatplane. This is breathtaking and make me miss Australia. I agree with your comment, the contrast is great. So I took your four elements theme to heart, and chose this image from Yellowstone. 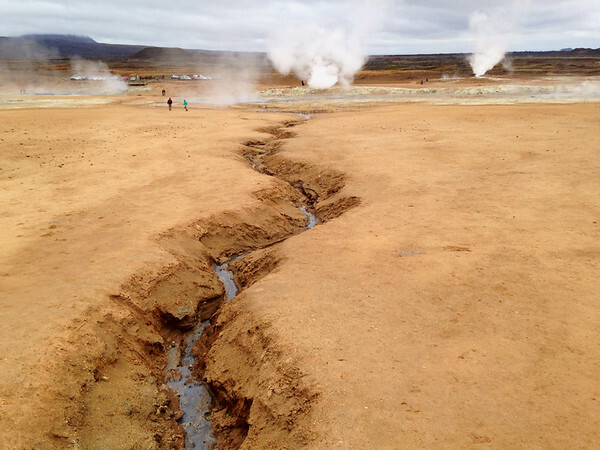 Here the fire from the magma below heats the water as it bubbles up from underground and into Yellowstone Lake. 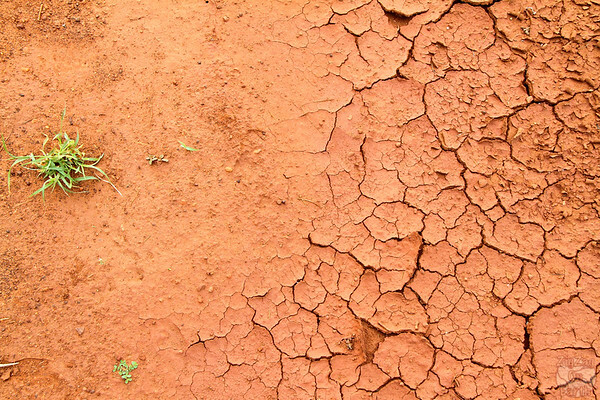 The ground turns all shade of colors from the minerals and the different bacteria that survive and thrive thanks to the unusual circumstances at play here. And finally, the air… stinky from the smell of sulfur!